NEW PRODUCT! Free Shipping. 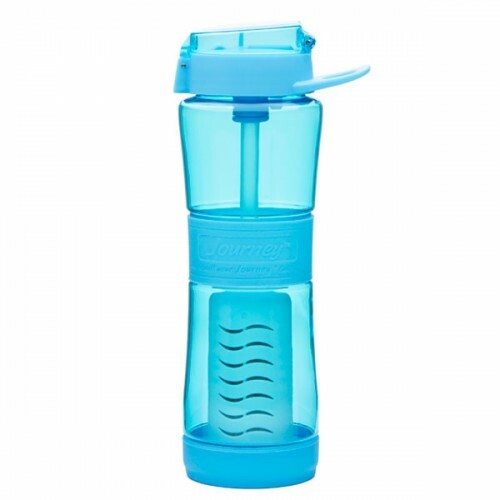 Filtered water bottle removes bacteria, virus and giardia. Filters 250 gallons of water. 24 fl oz capacity. The Sagan™ Journey™ Water Bottle - with filter is a filtered water bottle for everyday use, all outdoor adventures, survival and emergency preparedness. 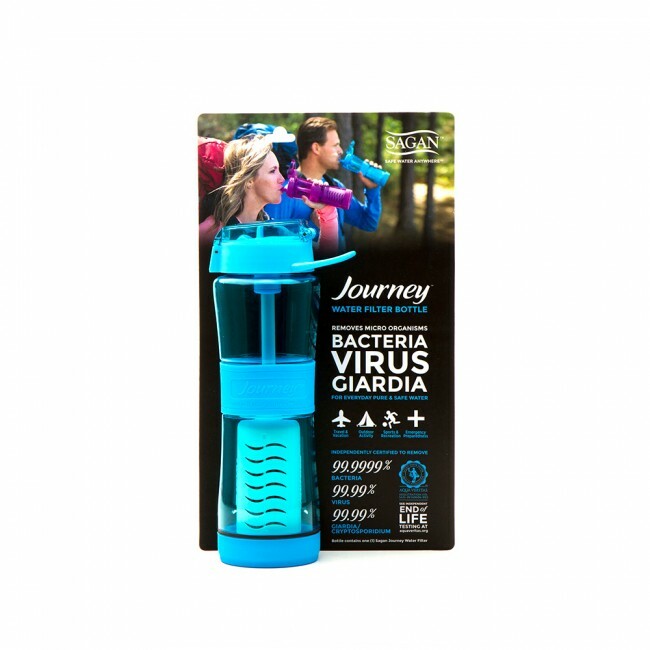 The Journey™ Water Filter removes bacteria, virus and giardia. Makes any water - safe water. View Sagan™ Water Filter Test Results performed by independent water laboratories. The best water filter you can buy for your personal water bottle. Sagan now offers the best water filter for your personal water bottle. The Sagan Journey™ Water Bottle - with filter is a filtered water bottle for everyday use, all outdoor adventures, survival and emergency preparedness. The Journey™ Water Filter removes bacteria, virus and giardia. Makes any water - safe water. Have a look at our test results – performed by independent water testing laboratories. The Sagan Journey Water Bottle is available in Sky Blue and Orchid. Holds 24 oz of liquid. Flip cap makes it easy to open. Patented "well" design allows you to get every drop. Includes one filter which filters up to 250 gallons of water. Read more about the Sagan Journey Water Bottle at Sagan Filters.com. I really enjoy hiking and camping so I frequently rely on water filters. For some time I have been looking for a quality Bottle Filter that can actually filter both bacteria and viruses. Unlike the other filters I own the Sagan filter actually can filter viruses, which if accurate, is pretty awesome. I appreciate the transparency of my Sagan filter so I can see how much water I have left.